Peripheral Neuropathy: Case Histories, Myths and Treatments That Work! Understanding Clinical or General Depression — Symptoms and Home Treatments. A Very General Explanation. BOOK: Peripheral Neuropathy; Case Histories, Myths… and Treatments which Work! Welcome to Ask the Neuropathist; a feature of, Chico Holistic Healthcare. 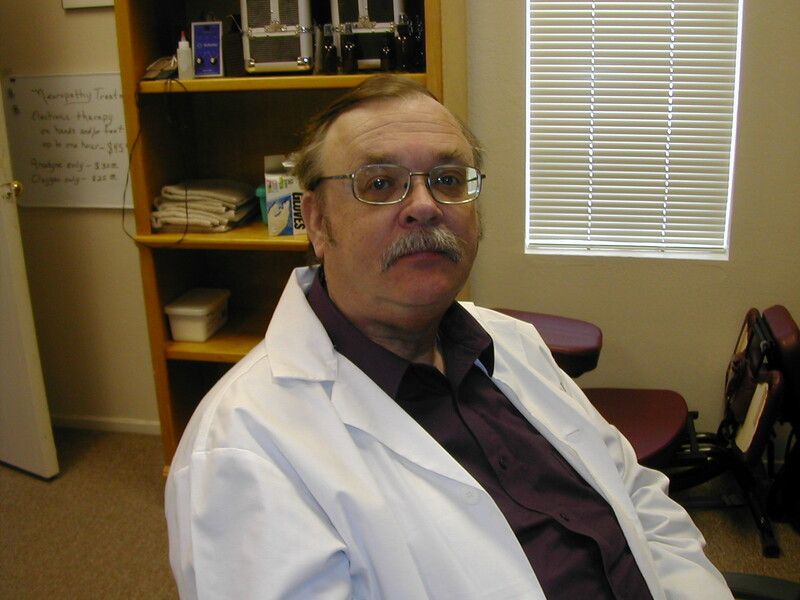 I’m James Skaug, the director and chief Holistic Neuropathist of CHH; and author of Peripheral Neuropathy: Case Histories, Myths and Treatments which Work! I am not only a neuropathy expert and CNST, but have a unique understanding of what a diabetic, Peripheral Neuropathy patient might go through… as I am a patient as well; which comes in handy, as 70% of my patients are, also, diabetic. In Chico, California since 2007, we have specialized in treating pain, numbness, burning, tingling and other issues all over the body; but, especially, those issues in regard to hands and feet. When these symptoms appear in the extremities, they are generally called “Peripheral Neuropathy;” but, this can be a very misleading term, as so many other medical conditions and prescription drugs can emulate the symptoms of neuropathy – such as IBS, for example! Doctors, generally, diagnose most neuropathies as “Idiopathic;” meaning “of unknown origin.” (But, in the doctors case, it is more likely to mean: “I don’t know!”); or simply “Peripheral Neuropathy;” meaning “nerve dysfunction of the peripheral or outer most parts of the body (hand and feet). Why is this? Because most doctors are not up to date on current neuropathy issues, conditions, treatments or cures; again, “Why?” Because most doctors don’t realize that there are over 100 different forms and types of neuropathy… and, just as many reasons for developing the conditions; disease, chemotherapy, alcoholism, drug addiction, trauma, or even genetic disorders to name a few. In fact, most doctors are more likely to tell their patients: “There is no cure for neuropathy; you are only going to get worse. But, the good news is… we can prescribe multiple medications to mask your symptoms!” These medications are, generally, toxic to the body and carry their own side effects – which, incidentally, can mimic neuropathy. This Blog, will discuss the multiple, but more common types, of neuropathy – such as autonomic, proximal, focal, sensorimotor and more; as well as, discuss many of the myths and positive treatments for the disorder. And, “yes,” whereas most neruopathies are incurable, there are many ways to REDUCE, MANAGE and MAINTAIN the symptoms; and thus, improve the quality of life. Please feel free to leave your comments and suggestions or “Ask the Neuropathist” questions regarding any subject. Please note: this blog is not meant to diagnose any condition and is not intended to give any medical advice. It is to be considered informational only. © Copyright 2015, James Douglas Skaug, All Rights Reserved.